I actually feel like October is my real birthday month, when I can pumpkin pick, apple pick, watch horror movies, drink fall beers and get fake-scared on haunted hay rides all month long (My actual birthday is in February). I like October so much that I usually refuse to travel during those 31 days, being that for the only four weeks out of the year, I actually prefer to stay in my kingdom of fall foliage in the forests of northwestern New Jersey. This rule has led me to book three trips cross-country from November to December. Whoops. Anyway, following a mishap at the travel agent where my family left holding no confirmations being that we couldn’t agree on a single getaway, a travel savior came into focus. Rich, my dad’s lawyer friend, who he does plumbing for. Rich has a daughter, Amy, who runs some rustic cabins up in Seneca Lake, New York, which is the deepest of the Finger Lakes. I’ve never been to the Finger Lakes, barely ever been to upstate New York (too pretentious) but I figure it’s gotta be pretty nice in the fall, I mean this is a lake, so I agree to leave my short-lived hometown paradise for a precious weekend. Turns out, Seneca Lake a fall empire. Although this was unknown during our four-hour drive north starting at 9:00 pm, it being so dark out that we couldn’t find our cabin which we were 20 feet away from, it was immediately obvious when we woke up and stepped out the door. All around, we were surrounded by fall foliage, autumn-themed wines and beers, cool outdoor activities and farmer’s markets. If you’re looking for a weekend getaway (because you don’t live in the middle of nowhere, obviously) here’s the reasons why you should head to Seneca Lake, New York. 1. 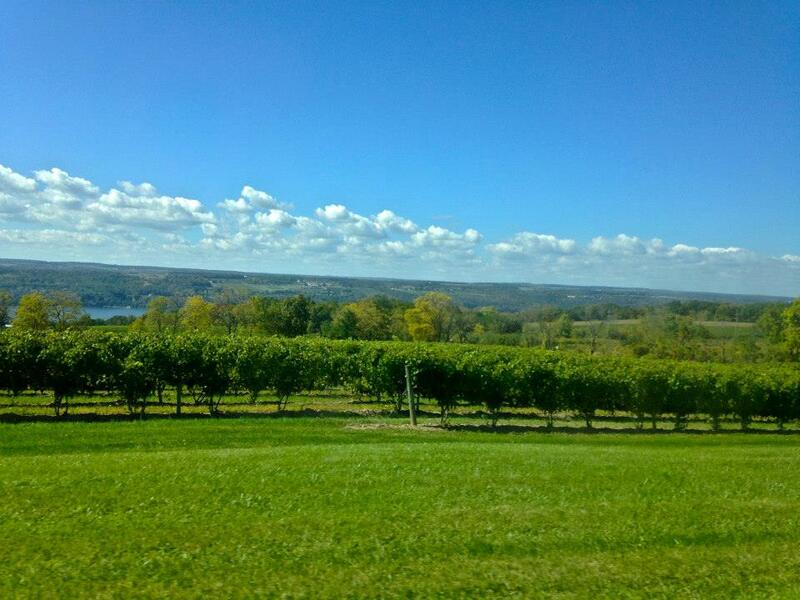 The Seneca Lake Wine Trail because honestly, who doesn’t love being toted to 32 wineries, all within a three-minute drive of the next? The Wine Trail, which can trace its winemaking history back to 1866, is composed of wineries lining the east and west sides of Seneca Lake, full of beautiful fall foliage in a serene environment. Most wine tastings, in which you can taste five to seven local wines while overlooking Seneca Lake, cost $3 to $7 (generally) making for a pretty cheap yet blurry afternoon out. With the variety of personality that each vineyard exhibits, you can’t really get bored (or sober). 2. The Windmill Farm & Craft Market is the first craft market in upstate New York, with the numbers to prove it – they receive an average of 9,000 visitors a week. With about 200 shops, they sell all kinds of cool stuff like leather goods, homemade pastries, jewelry, knitwear, toys and games and a million other things, mostly being sold by the Amish. 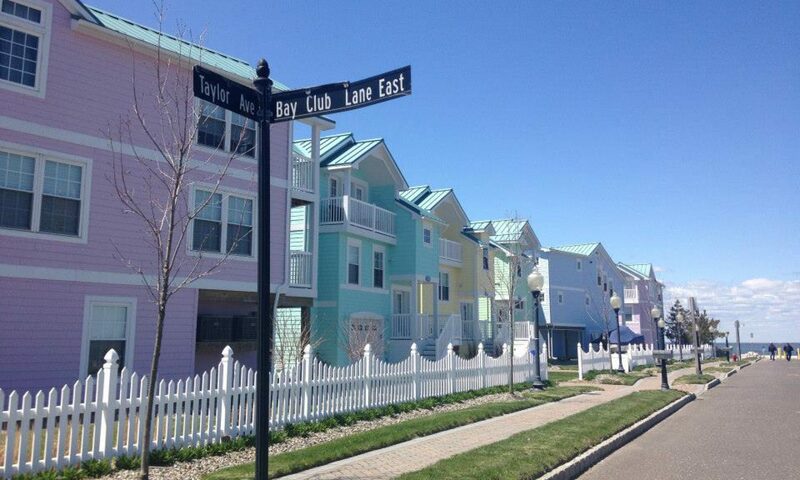 Even though the market itself lies about 30 minutes away from from the other main attractions of Seneca Lake, it is worth the scenic and relaxing drive up the New York countryside. 3. 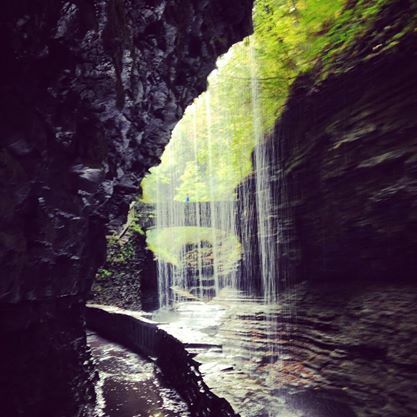 Watkins Glen State Park may cost $8 to get in, but it is also, and rightly so, the most famous of the New York state parks due to the 19 waterfalls cascading down 200-foot cliffs within two miles. Hikers can travel the trail, equipped with their walking shoes, to capture this truly spellbinding winding walk. You can’t miss the spray of Cavern Cascade or the various pools, especially in this season made for the outdoors. 4. Finger Lakes National Forest, because what’s the outdoors without a hearty hike? Check out this park, which features 30 miles of interconnecting trails that will take you to pastures, forests, ravines and gorges. This is especially a great spot if you’re equipped with a horse, mountain bike or binoculars (for some quality wildlife watching). 5. 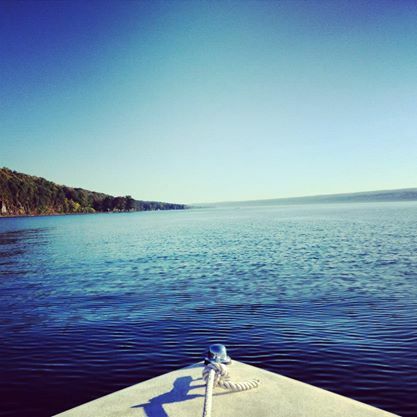 Boating on Seneca Lake is an obvious must-do when you’re staying on, umm, Seneca Lake. If you’re not lucky enough to have a nearby friend with a boat like we did (sorry), then don’t miss the opportunity to travel on an uncrowded body of water by booking a trip on one of the excursions. Try out Schooner Excursions, which go for $29 to $49 depending on the time of day of the cruise.